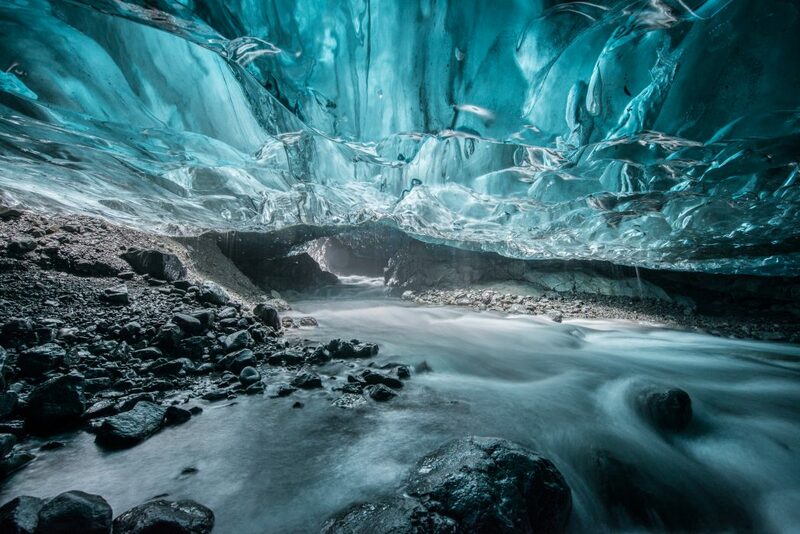 In this tour, you will experience a unique natural ice cave in the wonders of Vatnajökull glacier, Europe’s largest ice cap. 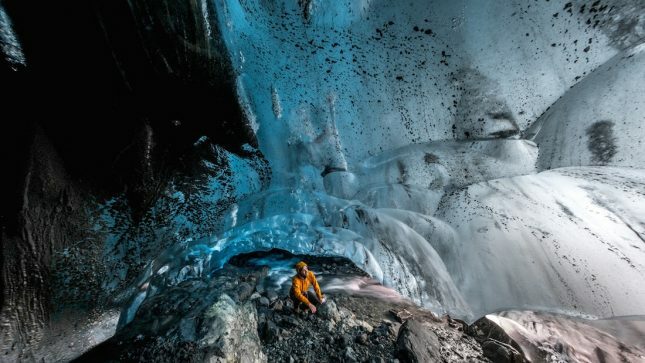 The tour is suitable for those who want to visit a more isolated ice cave and more difficult to access. 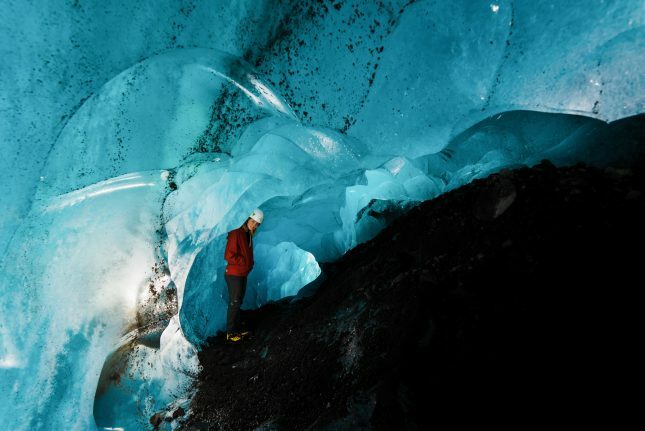 We visit one ice cave in this tour that we choose each day according to safety and weather. This cave is more difficult to access and therefore we offer it as a more quiet and personal tour for our participants, where we have only up to 8 persons in each group. The hike is around 3 km one way to the cave. So in total, it is around 6 km during the trip. 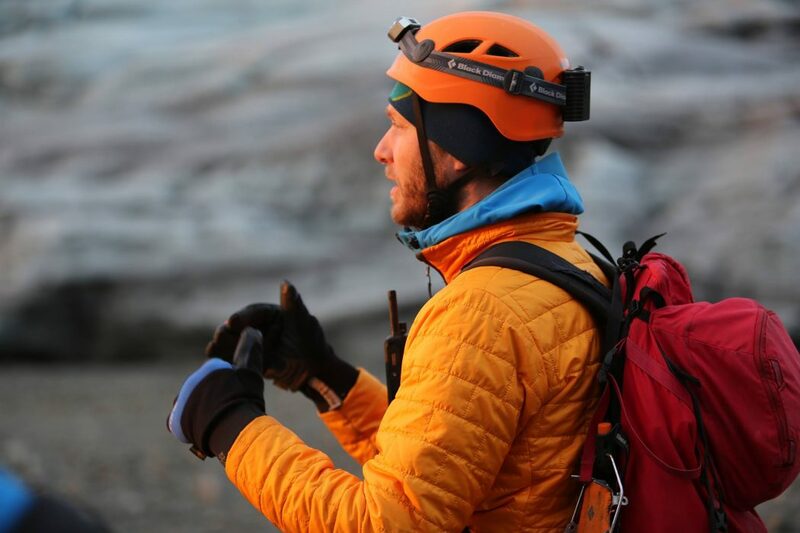 Part of it, around 2 km (4 km in total) can be on glaciated terrain were crampons and other glacier equipment is necessary. 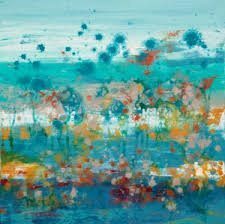 The other part is on a rocky and sometimes uneven terrain.The terrain might be totally or partly covered with snow or slippery ice where the micro spikes we give you come in handy. 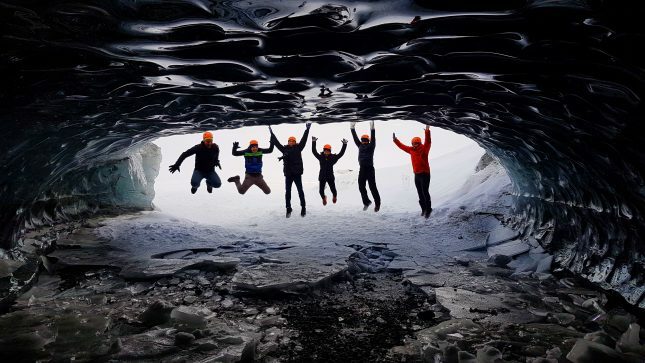 Ice Cave tours are weather dependent. 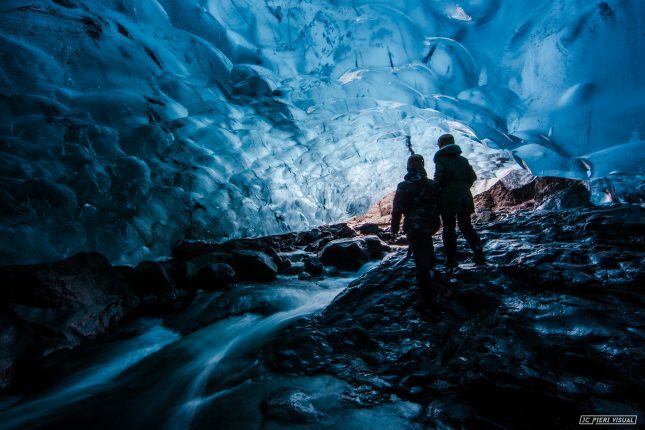 Sometimes Ice Cave tours get cancelled with short notice due to safety or weather reasons. After a heavy rain previous days before the tour, the cave sometimes get´s full of water. It can also be too warm for us to enter the caves, the ice can be unstable and not safe to go under. 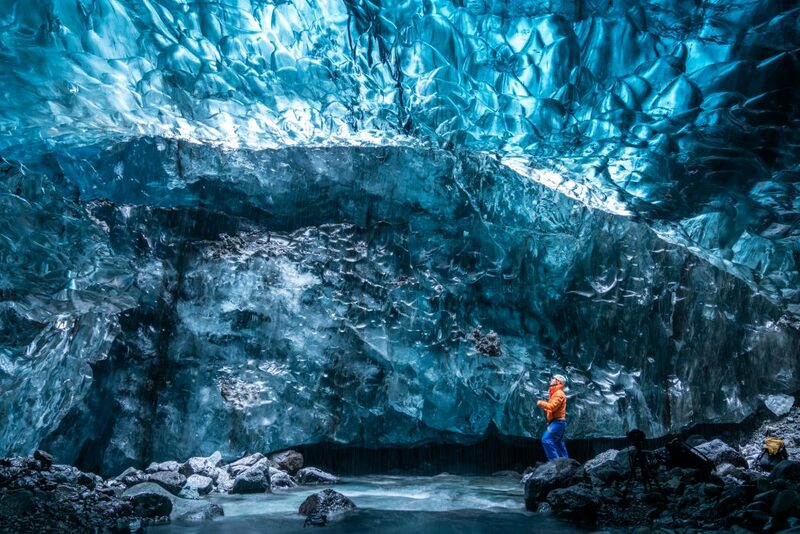 In this tour you will experience a unique ice cave in the wonders of Vatnajökull glacier, Europe’s largest ice cap. 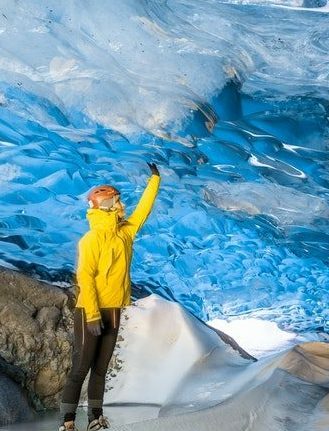 The tour is suitable for those who want to visit a more isolated ice cave and more difficult to access. This tour offers you great photo opportunities and an unforgettable experience. The level of this tour is hard. 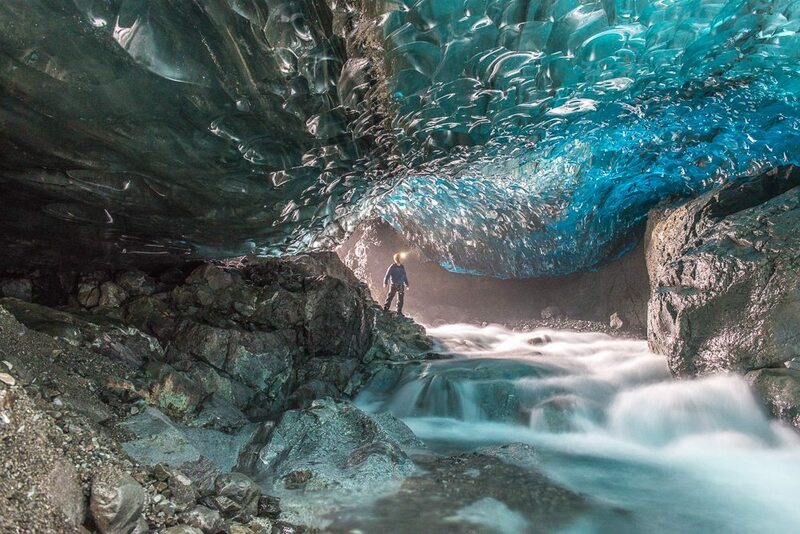 In this tour we visit one ice cave. This cave is more difficult to access and therefore we offer it as a more quiet and personal tour for our participants, where we have one guide for every 4 persons, and only up to 8 persons in each group. 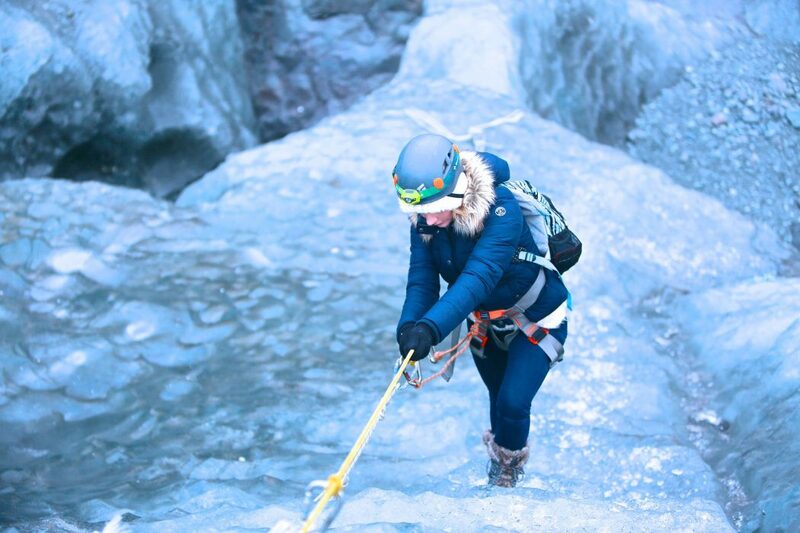 Our guides decide if it is safe enough to do the tour according to weather and safety conditions. If we cancel the tour due to weather or safety conditions it is refundable. 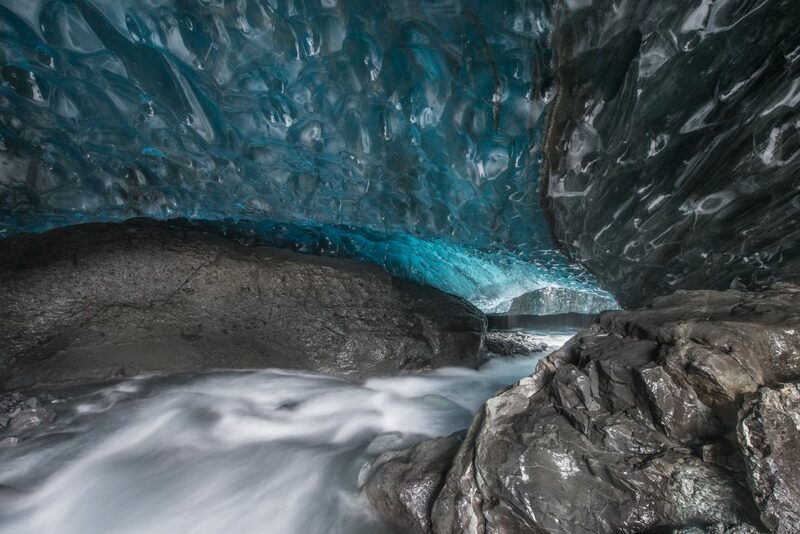 The ice cave tour can take between 3,5 – 4 hours. The meeting point is at Hali Country Hotel, 13 km east of Jökulsárlón (www.hali.is). 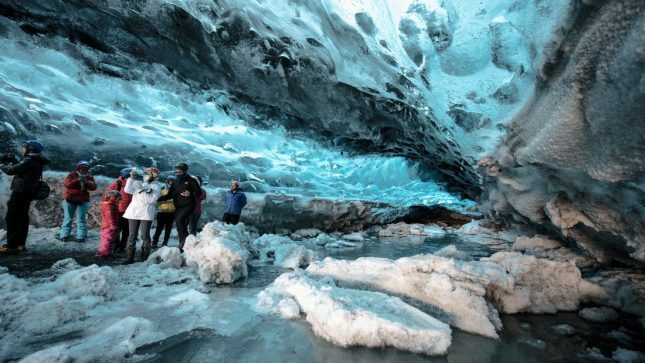 The tour is guided by a specialist in glaciers and ice caves. 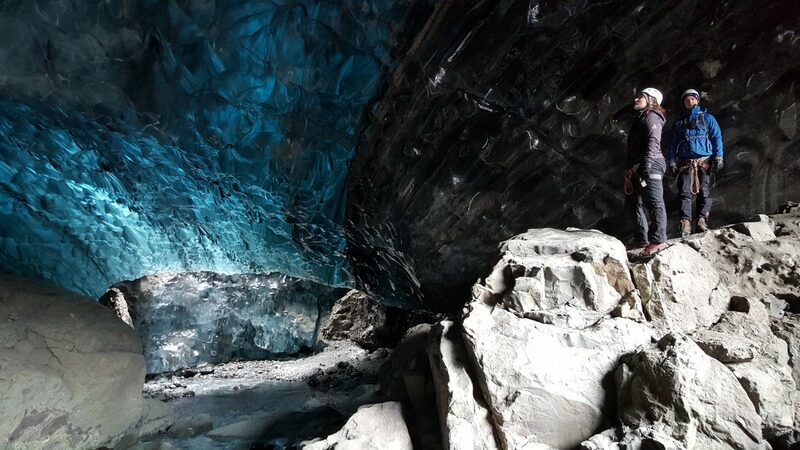 Driving to the location can take 25 – 30 minutes and the walk to the ice cave can take 35 – 45 minutes. We spend approximately 1 hour in the cave. 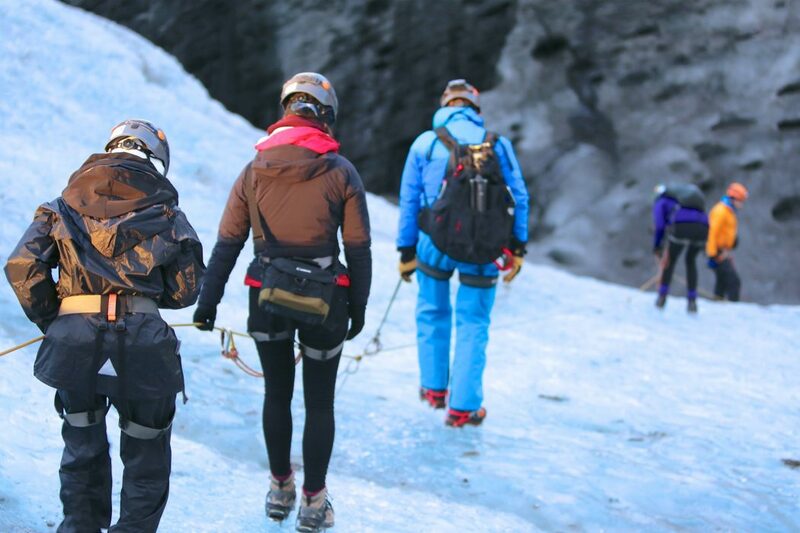 You should have in mind that the walking in this tour is always in the pure Icelandic nature on gravel, rough terrain and glacier.  GlacierAdventures base is located at at small farm called Hali. 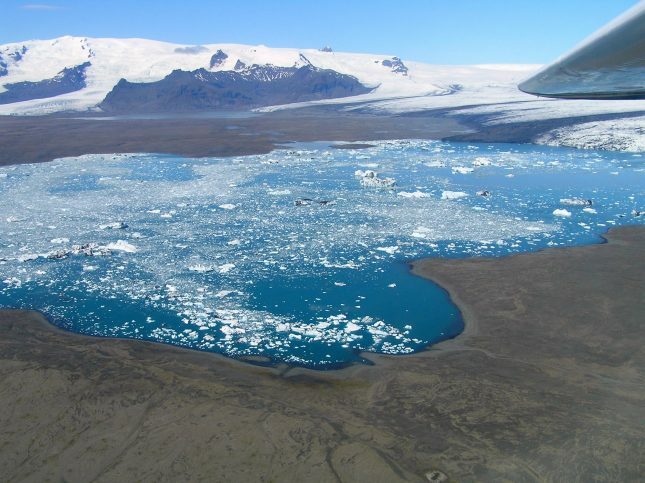 Hali is 13 km east of the famous Jökulsárlon (Glacier Lagoon) and 67 km west of the small fishing town Höfn. Hali is approximately 400 km east of Reykjavík. It should be easy to find Hali, it is only 150 m from Road 1 and the house we meet our travelers is a restaurant and a museum that looks like a book shelf. 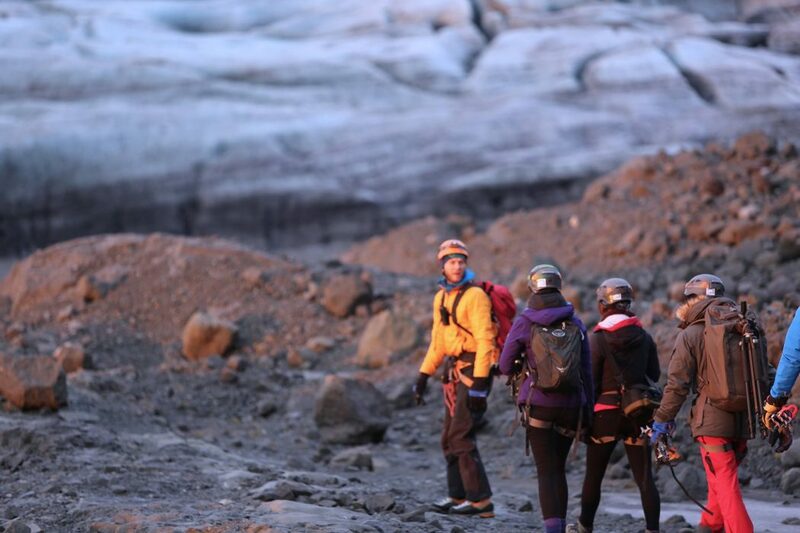 Glacier Adventure is owned and run by two local families from Hali, 12 km east of Glacier Lagoon. 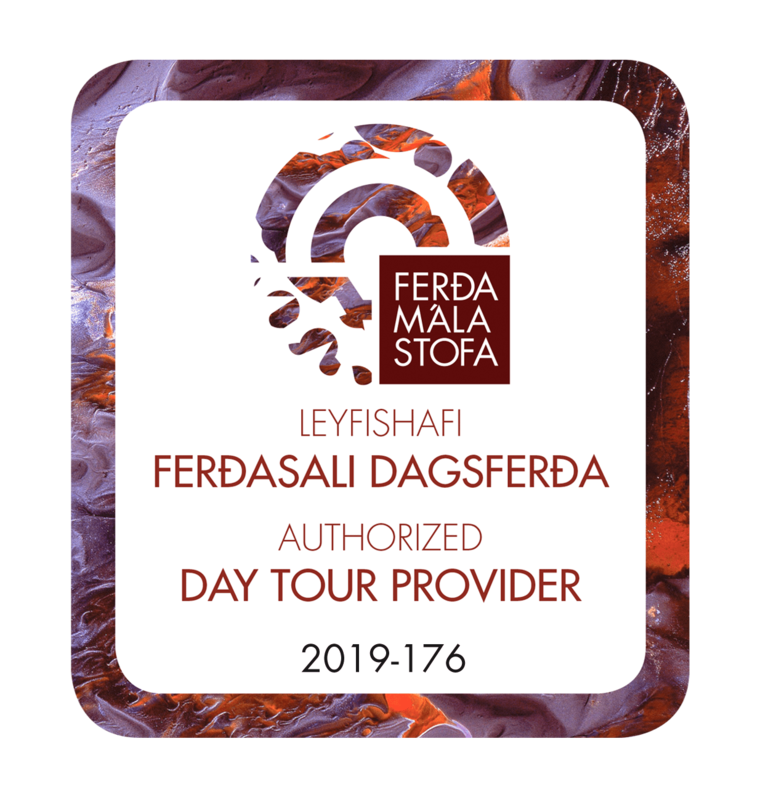 Our goal is to share our love and knowledge of the region with our clients and to safely introduce them to some of Iceland´s most stunning sights.  What does local mean? We were born and raised and still live and work in the area. The mighty outlet glacier Breiðamerkurjökull is in our backyard. 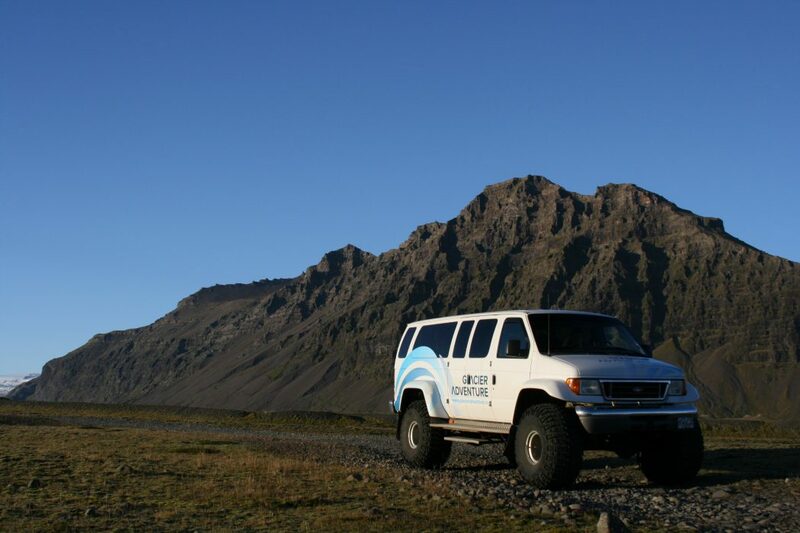 We provide a local guide service in the Vatnajökull National Park area, located in Hali. Our office staff, guides, and drivers are all personable, professional and fun to be around. 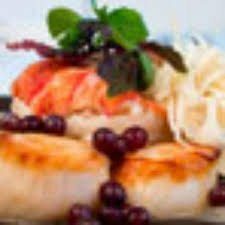 Experienced guides – Our guides are informative, friendly and professionals, they have the training to get you there safe, introduce you to the unique nature we have to offer, share their knowledge of the area with you and get you back to Hali safe and sound and of course extremely happy.